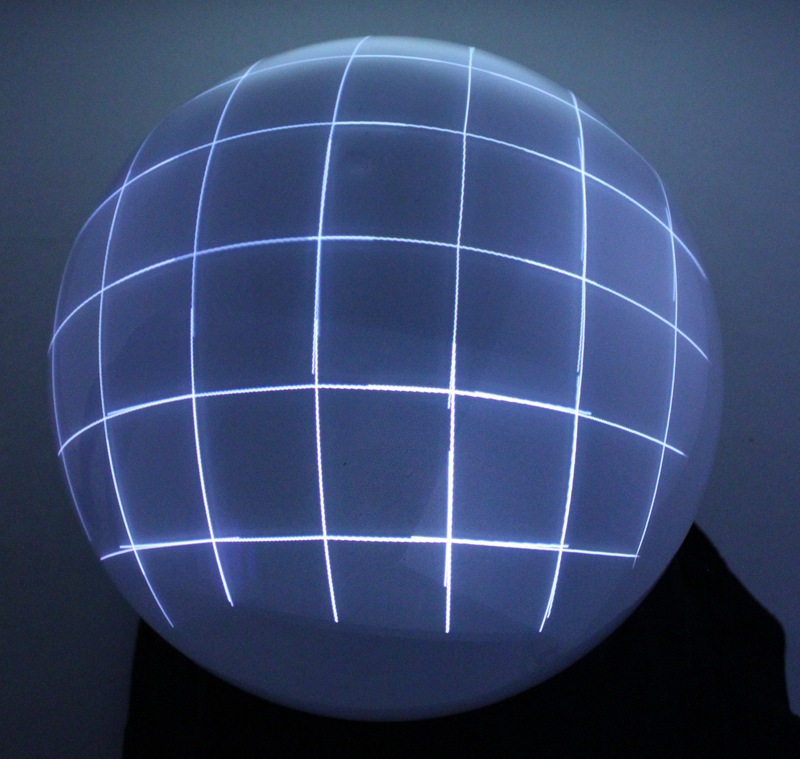 Spheree is a personal, spherical, multi-projector perspective-corrected display. 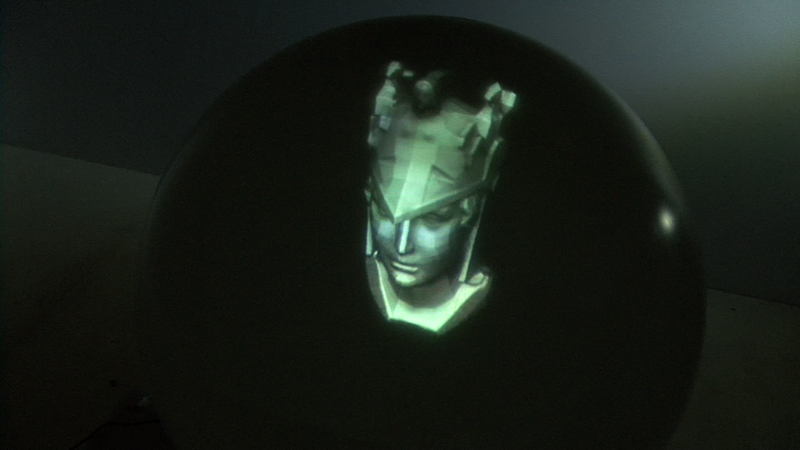 Offers uniform, high resolution pixels projected to a spherical surface and gesture interaction with three dimensional objects. 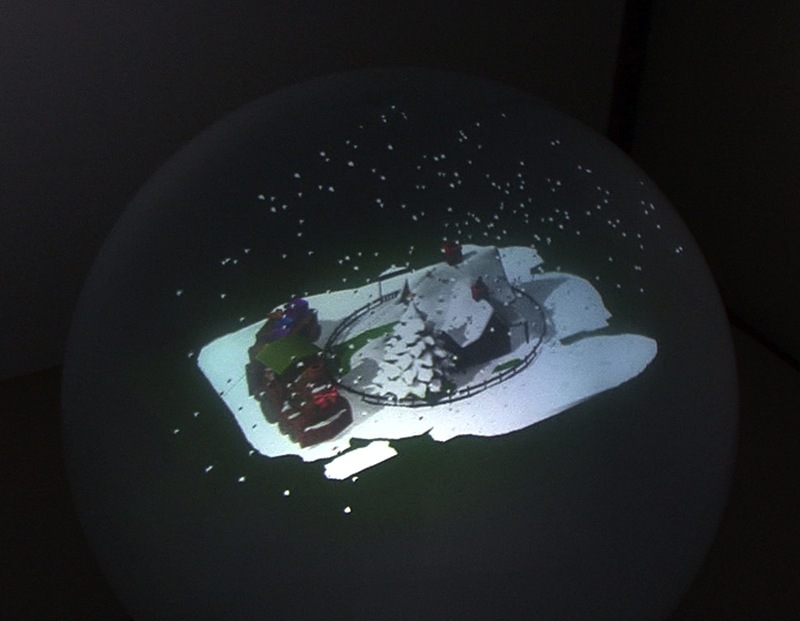 Multiple calibrated pico-projectors mounted inside the spherical display provide a seamless backprojected display. 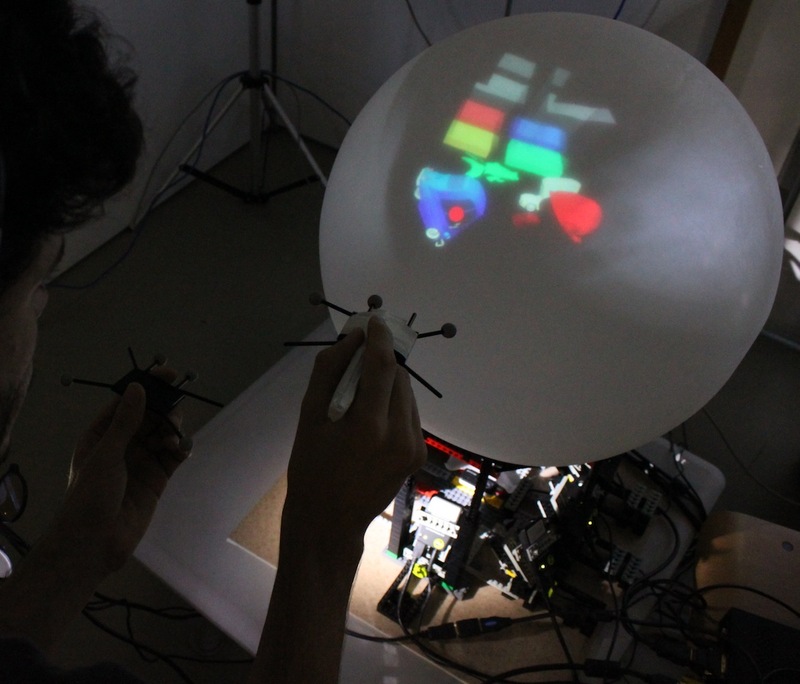 Optical tracking support head-coupled rendering to provide parallax-based 3D depth cues and wireless interaction devices. 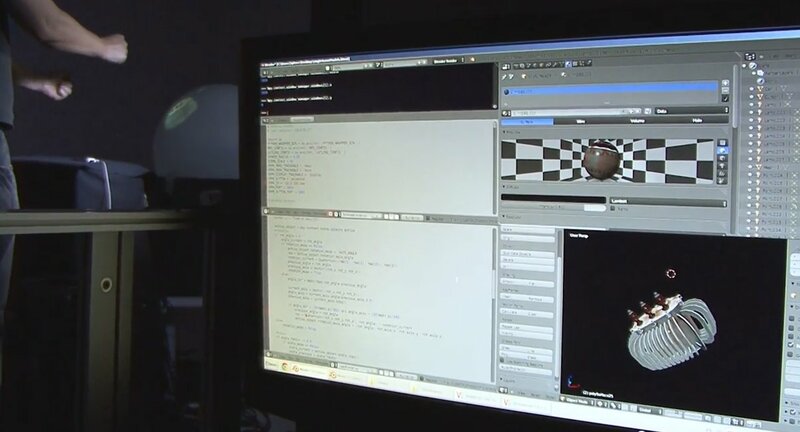 Spheree supports direct interaction techniques with gesture and a stylus, and integration with 3D softwares and game engines like Blender and Unity. 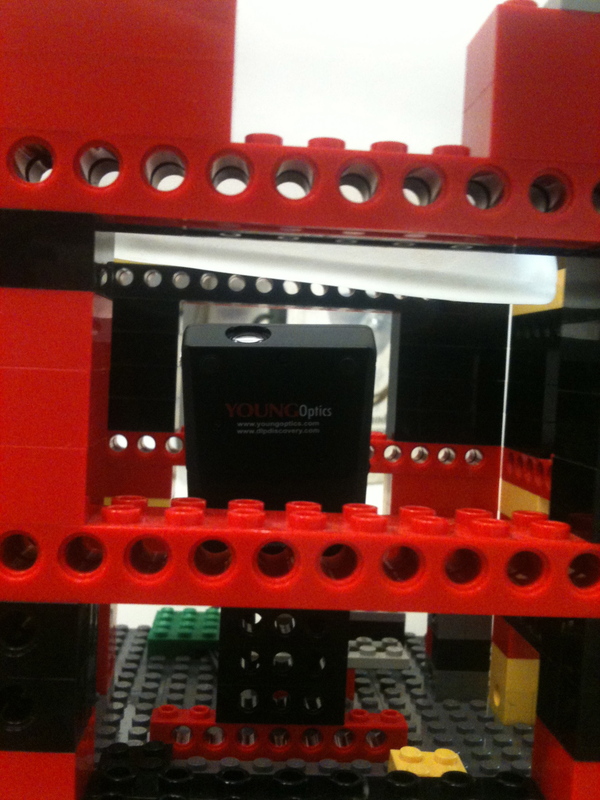 represent the future of interactive, scalable, high resolution non-planar displays. 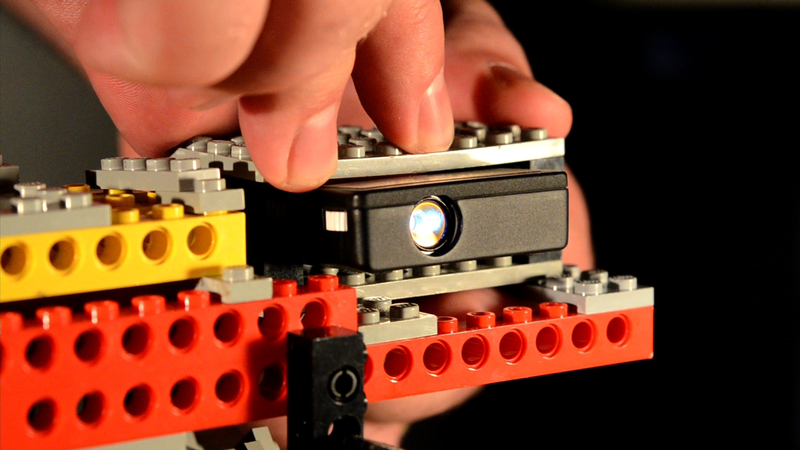 We developed a novel multiple pico-projector system that automatically calibrates and blends using a camera+projector approach. 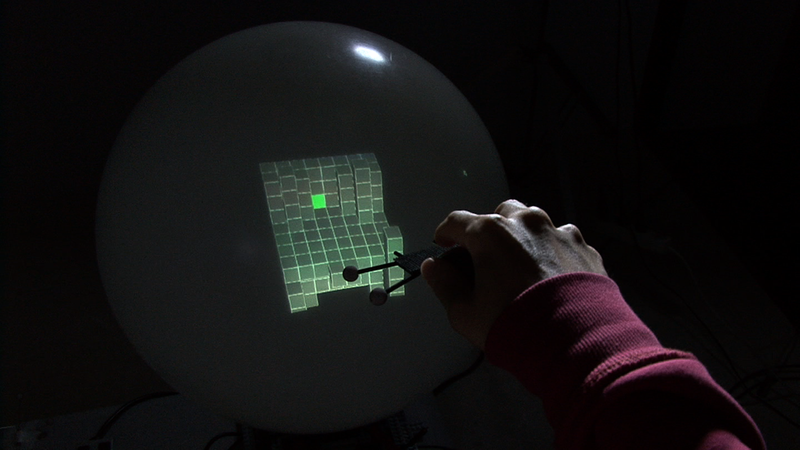 This creates a uniform pixel space on the surface of the sphere. 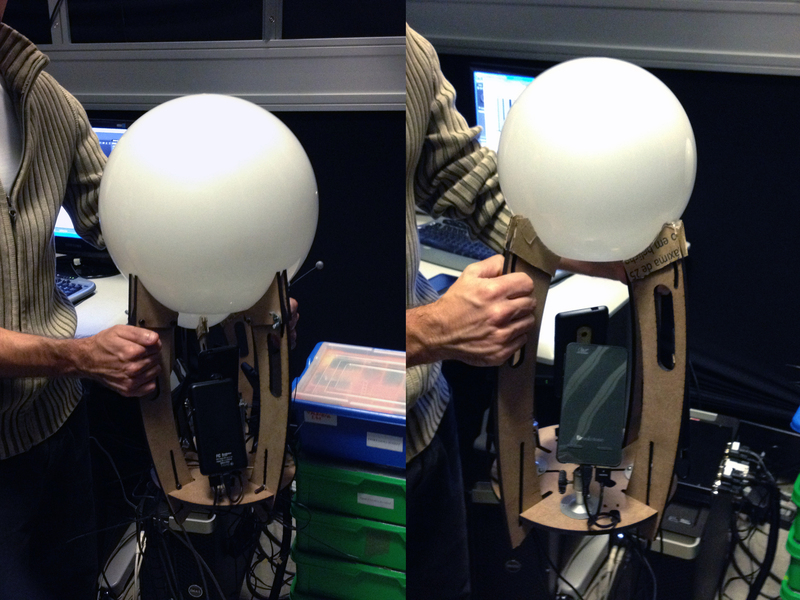 Our auto-calibration algorithm uses a spherical modification of [Teubl et al. 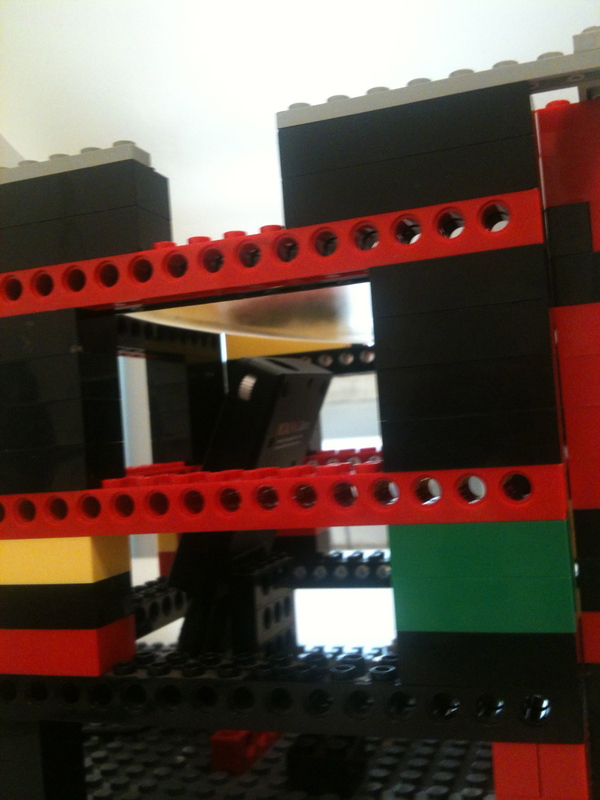 2012], which uses a simple webcam. 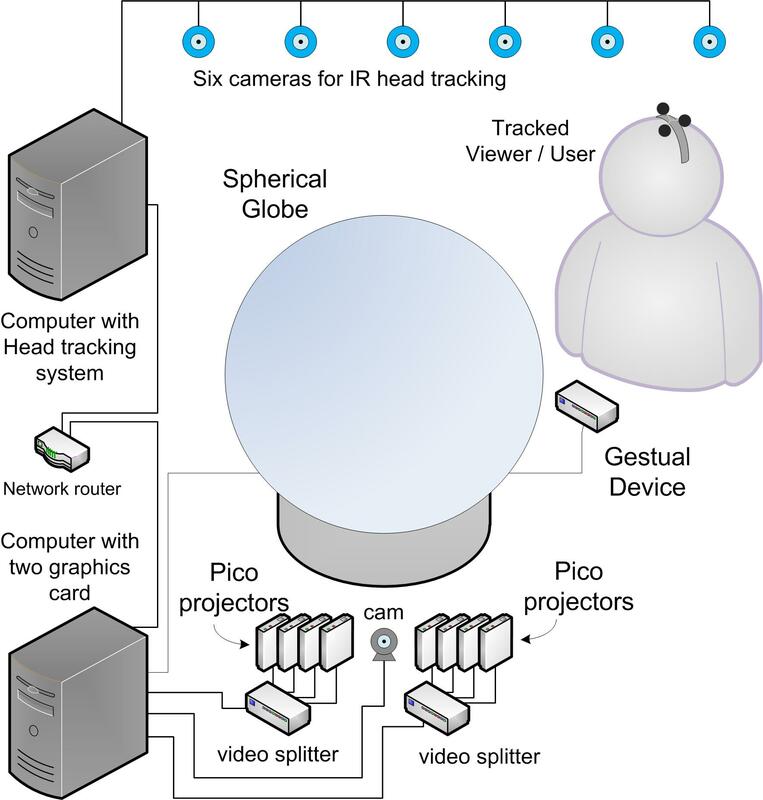 This same webcam is used to calculate the parametrization of the spherical screen for the correct view-point rendering of a scene from the head-coupled viewer. 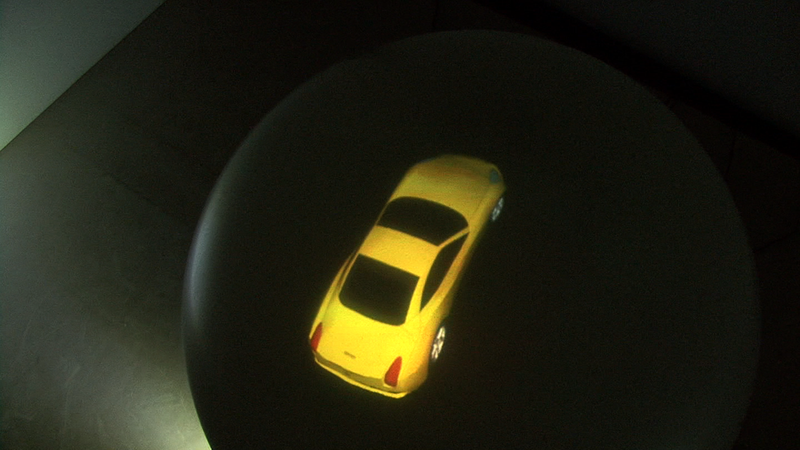 Spheree is highly scalable allowing as many projectors as needed for virtually any sphere size. 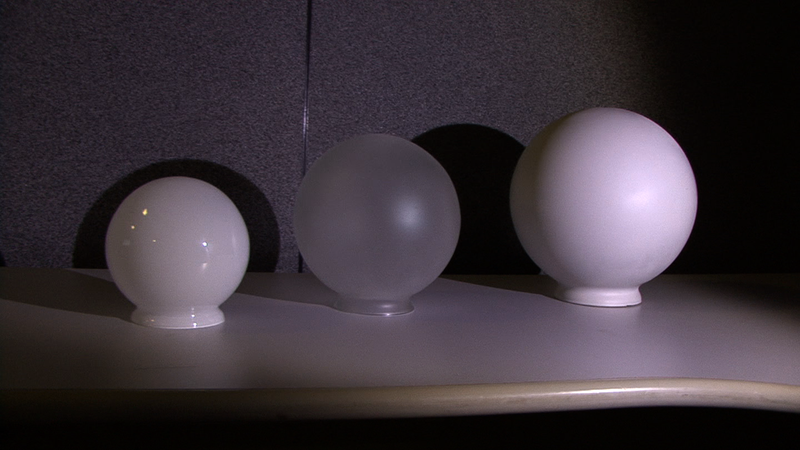 Our spherical display design has no corners, hence no singularities in blending, and provides uniform pixel density across the whole sphere. Additionally, no mirrors are used so there are no blind spots. 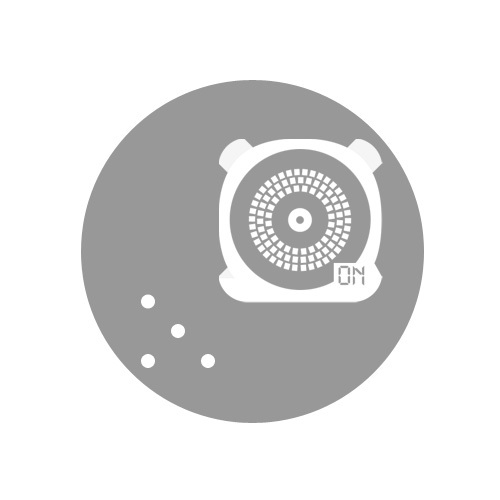 We only use lenses that come with the pico-projectors, rather than special ones such as fish-eye lenses, simplifying rendering. 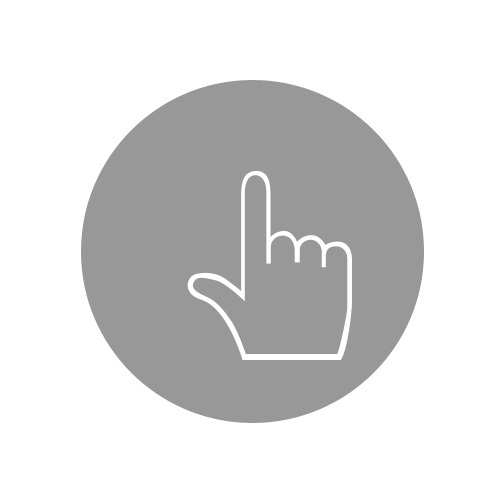 Spheree supports bi-manual gesture, hands-free and moving-the-display interactions. We coupled Spheree to a 3D modelling package, Blender, to illustrate its use in a 3D modelling workflow. People can use a 3D modelling environment or capture real objects, such as designs moulded with clay, and easily put them inside Spheree. 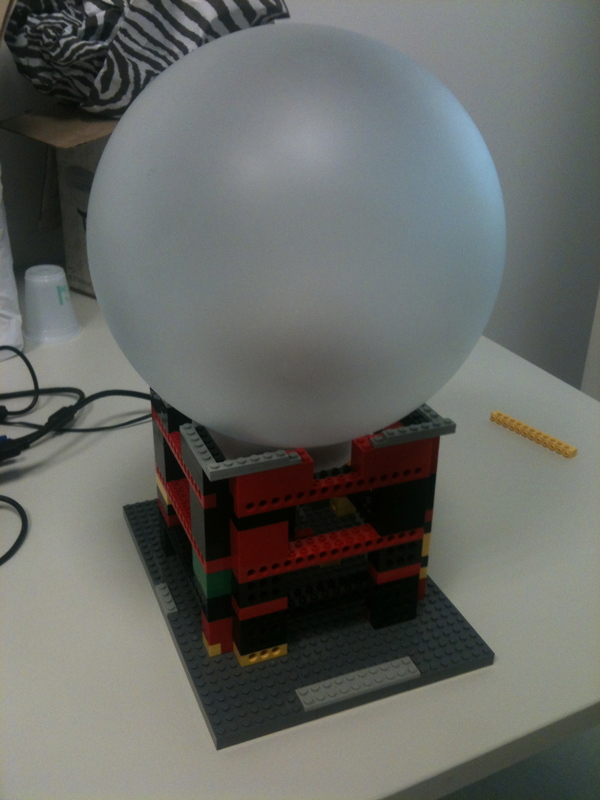 We have tested a 20” diameter, eight pico-projector and a 7”, four pico-projector Sphere. 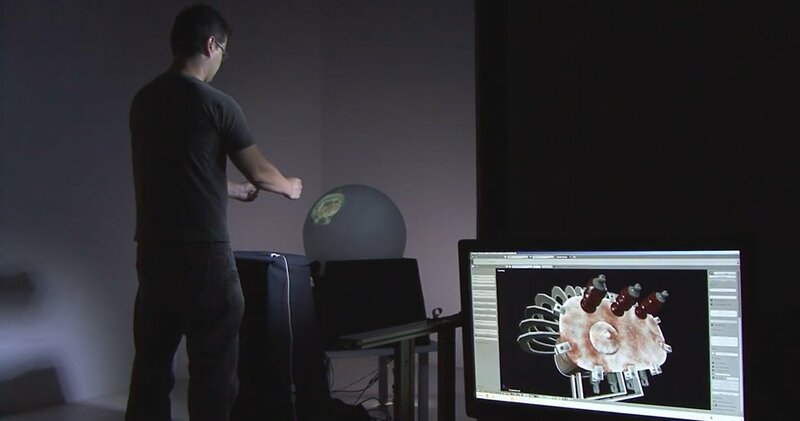 The 20” Spheree allows participants to experience and interact with 1:1 models of human sized objects. 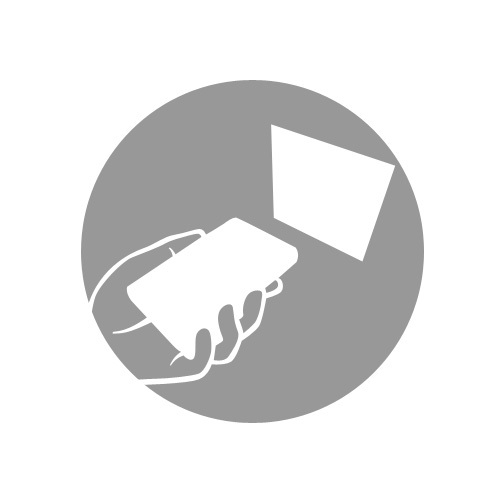 The small spheree can be held in your hands; thus, users are able to pick it up and interact with the models inside.